On the planet Zora exist two societies: the Innocent, an advanced culture that lives in domed cities, and the Civilians, who are forced to live in the harsh desert wilderness. As dictated by the Innocent, any Civilian that commits a crime is forgiven if they are not brought to justice within three days. Civilian Jiron Amos seeks revenge on the villainous outlaw Timp Sharon who murdered his parents, despite the fact the three-day period has long since passed. 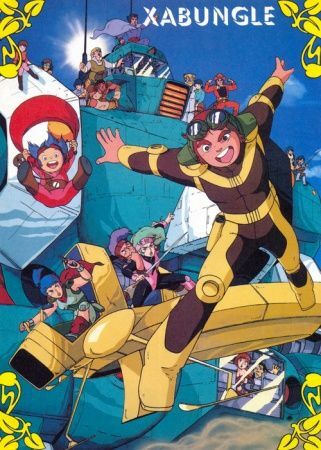 Hoping to get his revenge by stealing the mecha Xabungle from the merchant Carrying Cargo, Jiron teams up with a group of bandits known as the Sandrats and kidnaps Cargo's daughter Elchi, who ends up being sympathetic to his cause. Jiron's quest for revenge soon grows into a conflict much bigger—one that will eventually see the Civilians rise up against the Innocents' rule.